Archer Kontrol is a range of compact board-to-board 1.27mm pitch connectors, available now from TTI Europe, that provides designers with a robust and flexible connection choice for a broad scope of industrial and other related applications. 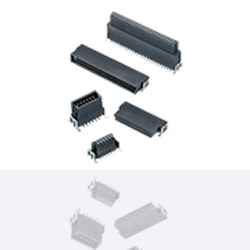 These durable, rugged board-to-board connectors are available in a range of orientations and mating heights, and add a tougher option to the company’s family. Due to the fully shrouded design, these connectors are ideal for blind-mating applications. They can withstand lateral and twisting forces, and endure a significant amount of misalignment. The company’s range is perfectly suited for the industrial environment, including drives and controls. The combination of the enhanced durability and rugged design, with the miniature 1.27mm pitch, make it ideal for both small and large-scale installations.